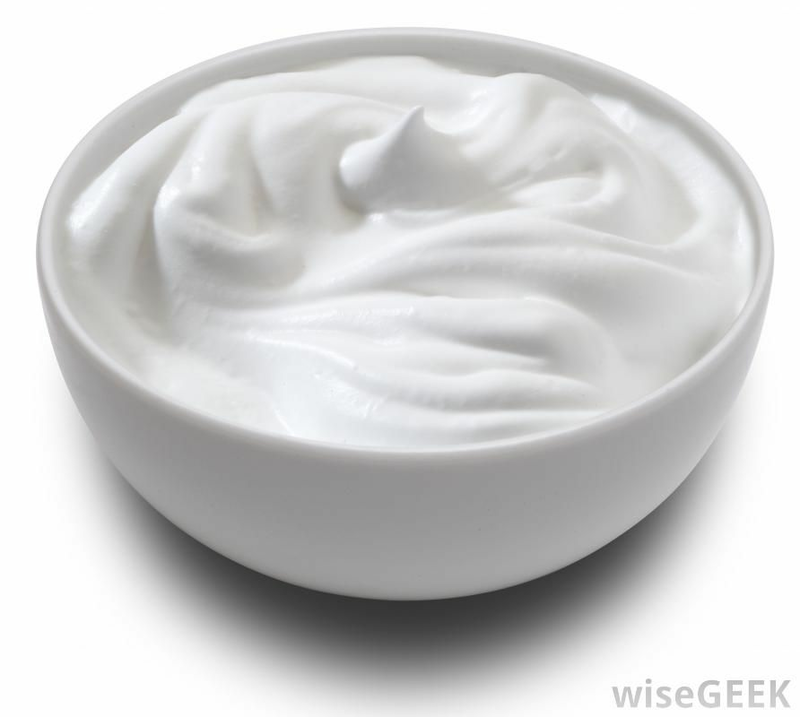 Lactobacillus Bulgarian bacteria is used to make traditional yoghurt in Bulgaria. It was first identified in 1905 by the Bulgarian doctor Stamen Grigorov. The bacterium feeds on dairy lactose and produces lactic acid, which helps prolong the milk's shelf life. Lactobacillus Bulgaricus is named after Bulgaria - the country where it was first discovered and used. The bacteria is freely found in the nature of Bulgaria. When cultured into milk and under certain conditions the bacterium causes natural lactic acid fermentation, leading to what we call yoghurt. Bulgarian yoghurt is known all over the world for its taste. For people around the world, it is a delicacy, and for Bulgarians, it is part of the daily menu, which is always on the table. From yogurt, Bulgarians make many dishes. It is found in may recipes for soups, salads, desserts, trimmings, etc. Yoghurt can also be made at home, as long as some basic rules are followed. It is prepared with a special yeast, isolated from the Bulgarian nature, developed for the preparation of natural Bulgarian yoghurt with a traditional taste. One liter of milk is used per packet and one box is for a minimum of 10 liters of fresh milk. Nutritional value is determined by the nutrient content and the possibility of these ingredients being used by the body. Yoghurt has a higher nutritional value than fresh milk. The reason for this is the changes under the action of Lactobacillus bulgaricus and Streptococcus thermophilus. The milk sugar content in yogurt decreases by 20-30%. The remaining quantity of milk sugar serves as a source of energy of 4.1 kcal. Yoghurt is a rich source of calcium to meet people's needs. Calcium maintains the excitability of the heart muscle. It is extremely important for the proper functioning of the nervous system. Stimulates the action of the glands with internal secretion and accelerates the clotting of the blood. Yoghurt is an indispensable source of calcium for people who suffer from lactose intolerance, as well as for middle-aged women who often suffer from bone deformity due to calcium deficiency. 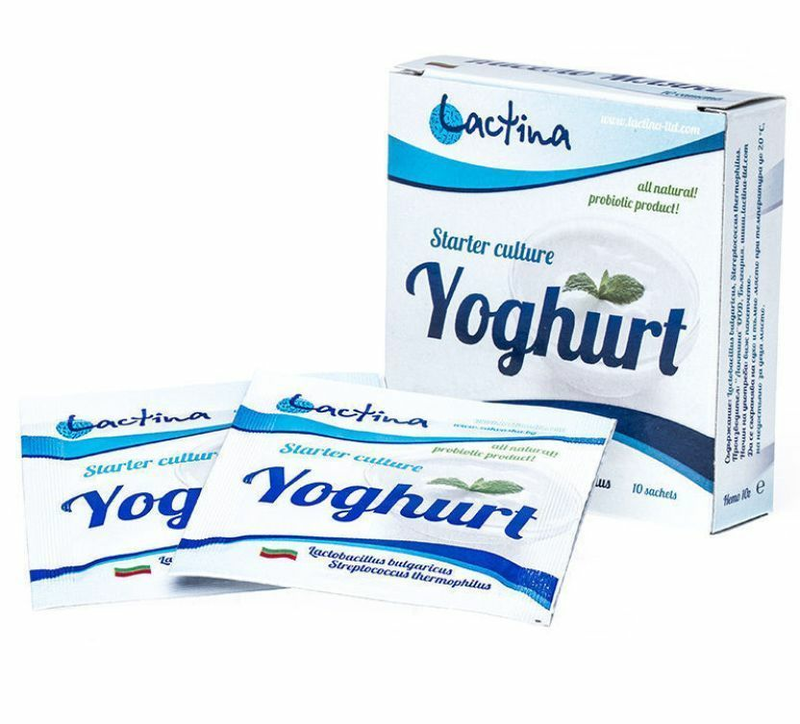 Lactobacillus bulgaricus and Streptococcus thermophilus not only increase the nutritional and biological value of yoghurt but also give it medicinal properties. Yoghurt contains substances that inhibit the development of a number of pathogenic and non-pathogenic microorganisms. The micro-flora of yogurt has been found to synthesize antibiotic and antimicrobial agents that assist the suppression on unwanted micro-organisms of the intestinal tract, especially the rotting microorganisms. Yoghurt has been found to be a powerful biological remedy to combat certain food poisonings. 5- Allow it stand for 6-7 hours by still keeping the temperature of 43-44 °C. (put in a thermos or wrap well in woolen cloth). After that cool down the yoghurt in the fridge for a few hours. Consume within the next 2-3 day. There is growing interest in the relationship between food, blood cholesterol, and cardiovascular disease. Foods that lower high cholesterol content in blood serum is extremely desirable. Regular intake of yogurt significantly reduces cholesterol in blood serum. 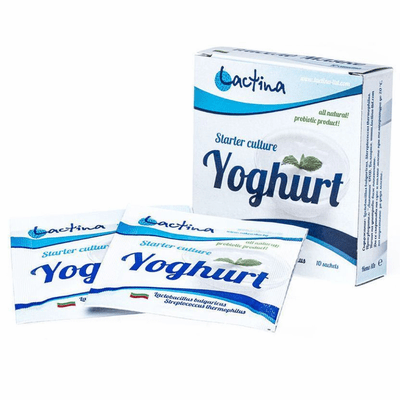 Usually, the cholesterol content decreases significantly for 7 days from the start of the yoghurt administration. Yoghurt is a valuable food supplement for diabetics, which should be low in fat to ensure better carbohydrate tolerance. This item contains one box of 10 dry packets for making a minimum of 10 liters of yoghurt. Bulgarian yoghurt is best made in a yogurt maker for best results.